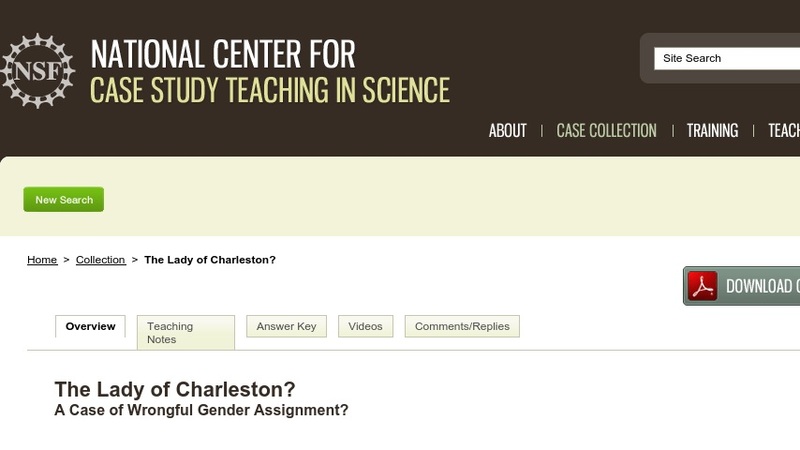 The "Lady" of Charleston A Case of Wrongful Gender Assignment? This case uses the real story of Dawn Langley Simmons, who may have been misidentified as male at birth, to illustrate the developmental basis of human sexual dimorphism and how gender misidentification may occur. Students also consider the emotional, legal, and societal implications of gender misassignment and reassignment. Designed for a junior-level human genetics course for allied health students, the case could be used in a number of other courses including physiology, endocrinology, developmental biology, general biology, and psychology.